Liverpool’s award-winning Beatles Story attraction has marked the 50th anniversary of The Beatles historic performance at The London Palladium by taking its original Beatle waxworks to the capital for a one-off photo opportunity outside the famed venue. 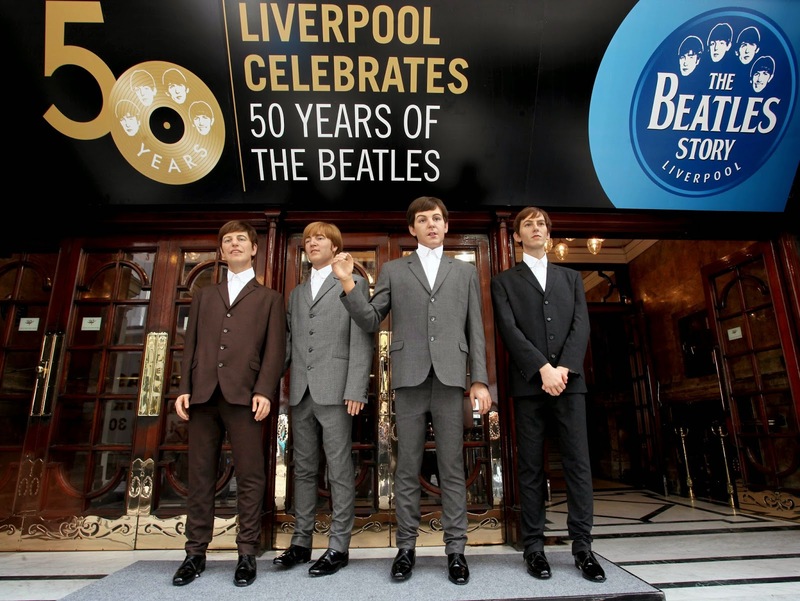 The anniversary takes place on Sunday 13th October. 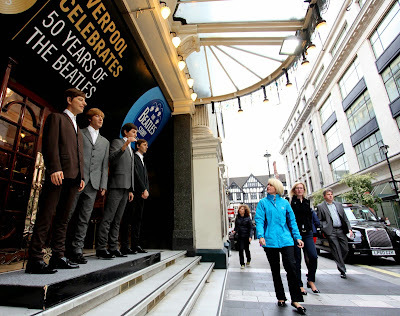 The Beatles performance on Sunday Night at The London Palladium is regarded by many as the band’s very own tipping point propelling them from ‘mere’ pop stars into a cultural phenomenon that was to define a generation. 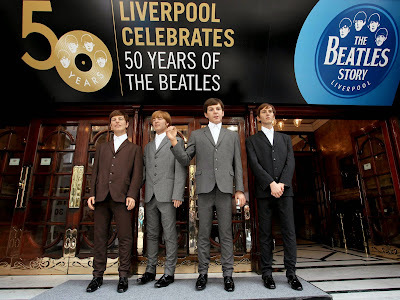 Watched by an estimated fifteen million viewers on television, their rousing version of four soon-to-be classics gave birth to the phenomenon known as Beatlemania. 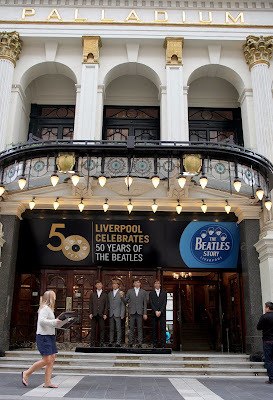 With the advent of television the weekly broadcasts of Sunday Night at the London Palladium became an institution and with hosts including Bruce Forsyth and Jimmy Tarbuck made the venue even more famous. 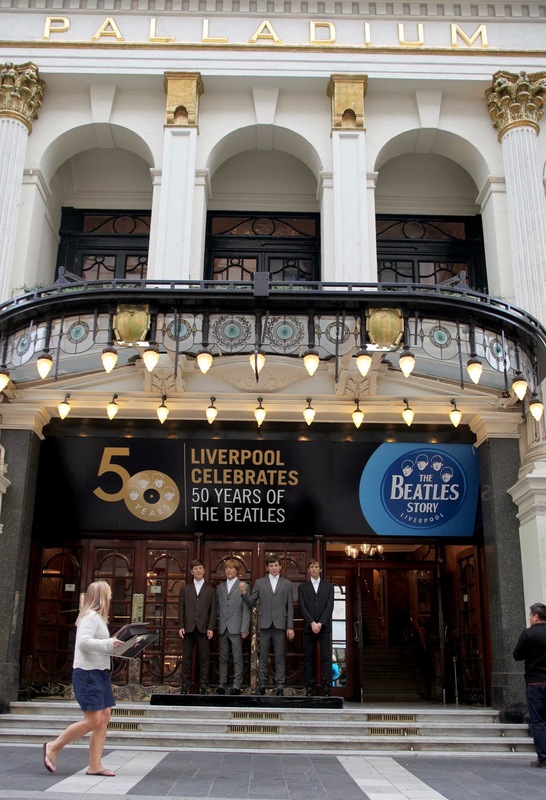 As a result, and with an eye to boosting record sales, many legendary acts including The Beatles and The Rolling Stones appeared on the Palladium stage.